In November 2009 Fr. Rodion Aragon, only ROCOR priest in Costa Rica was diagnosed with terminal stomach cancer. Doctors were unable to operate on him. After being hospitalized for several months, Fr. Rodion died, leaving a wife and son. In 2009 FFA sent Fr. Rodion’s family $10, 000. In 2008 Fr. Rodion enrolled into the Holy Trinity Seminary in Jordanville and was planning to continue his education. He became a priest in January 2009. 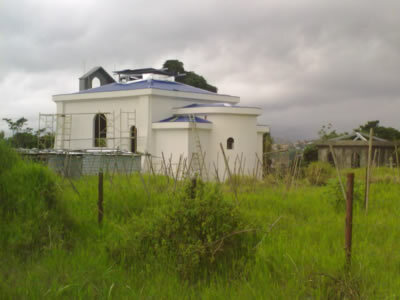 The large Russian population in Costa Rica is in the process of building a church in the Pskov style and was looking forward to a bright future with Fr. Rodion at the helm. Currently the community does not have a priest. Their spiritual needs are addressed by Fr. Daniel McKenzie who, apart from his duties as Haiti Mission administrator and parish priest in Miami, FL visits them several times a year. Parish of the Vladimir Icon of the Mother of God in San Jose, Costa-Rica.